On a recent visit to an awesome new deli and gourmet shop in Griffith, Indiana, called Charcuterie, the owner, Skip, pointed out a few of their unique products. One he recommended was a fruit spread from the The Fine Cheese Co. in the UK. 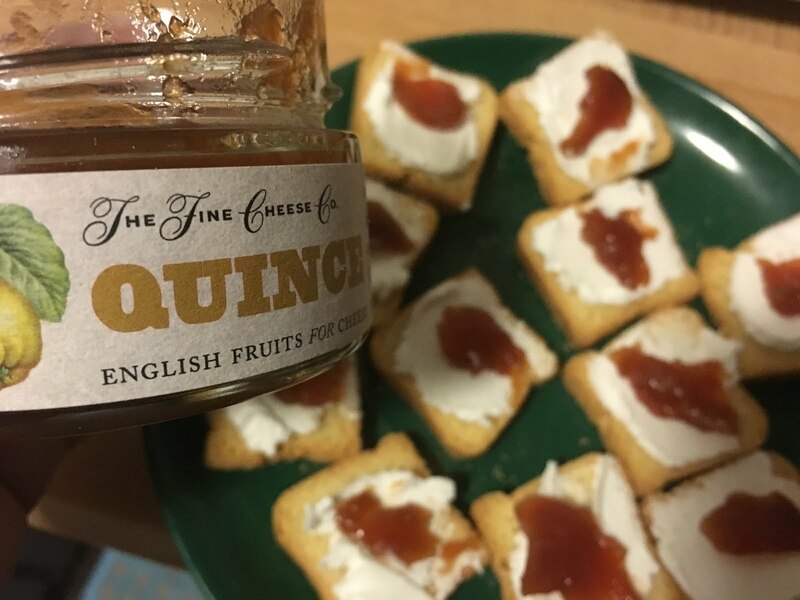 This spread is made with quince, which from what I learned via Google, is an ancient fruit that grown on trees in Turkey and southeast Asia that is similar to an apple or pear. It definitely makes for a delicious spread, perfect on top of a soft cheese on these little toasty bites that I also got there that come from France. The spreads are also available online at fine cheese.co.uk where you'll also find other delicious varieties, including cherry, fig, gooseberry and damson.